Provide comfort for the family of George Upham with a meaningful gesture of sympathy. George Randall Upham, 88, a resident of Nashua, died at Catholic Medical Center in Manchester on March 2, 2019. He was born in Newton, MA on October 25, 1930. Son of the late James Randall and Sarah Frances (Williams) Upham, Mr. Upham grew up in and retired to Lisbon Falls, ME. In between he resided in Reading, MA for many years. Mr. Upham was the husband of Ruth (Manuel) Upham, whom he married in 1958, sharing over 60 years of marriage. Following his graduation from Lisbon Falls High School, he earned his bachelor’s degree from the University of Maine. He went on to earn his MBA from Northeastern University in Boston, MA. He worked as an engineer at General Electric in Lynn, MA for over 40 years. He was a Korean War veteran of the United States Army. Fraternally, he was a member of the Masonic Fraternity. He is remembered as a loving and devoted husband, father and grandfather. He is remembered also for his love of gardening and working on the farm in Lisbon Falls on his John Deere tractor. While living in Nashua, he and his wife had attended The First Church, U.C.C. (Congregational). Besides his parents, he was predeceased by his sister, Elizabeth (Betty) Upham. In addition to his beloved wife, Ruth, Mr. Upham is survived by his children and partners: Gail Upham and John Honeycutt, Susan Upham and Joan Bresnick, Barbara and Mike Shannon, Randall and Kay Upham; and his six grandchildren: Carolyn and Alexander Honeycutt, Erin and Abigail Shannon, Peter and Andrew Upham. SERVICES: A Funeral Service in his honor will be held in the Shaw Chapel of The First Church U.C.C., 1 Concord St., Nashua, NH on Friday afternoon, March 8, 2019 at 2:00 PM. Interment prayers and burial will be held in Maine in the spring. 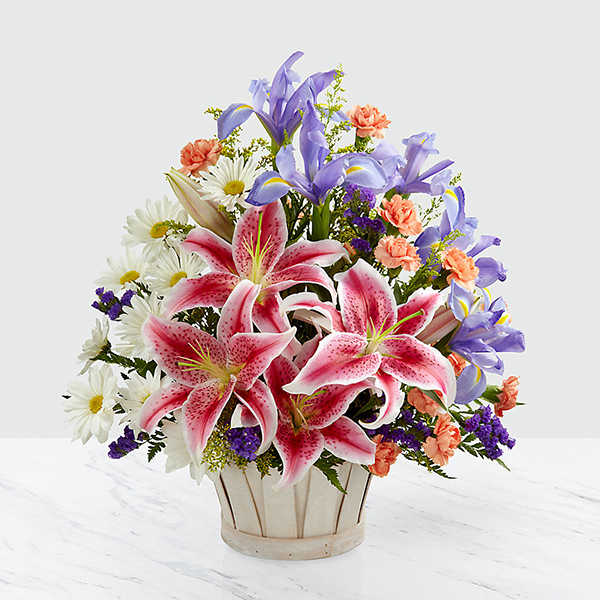 To send flowers in memory of George Randall Upham, please visit our Heartfelt Sympathies Store. Bob, Alice, John, Denise, Brian, Kara sent flowers to the family of George Randall Upham. Heartfelt Sympathies Store purchased flowers for the family of George Upham.